But why use it now? Mystery has been solved. Can this thread be locked now? No Watson, its Titan Master Sovereign. 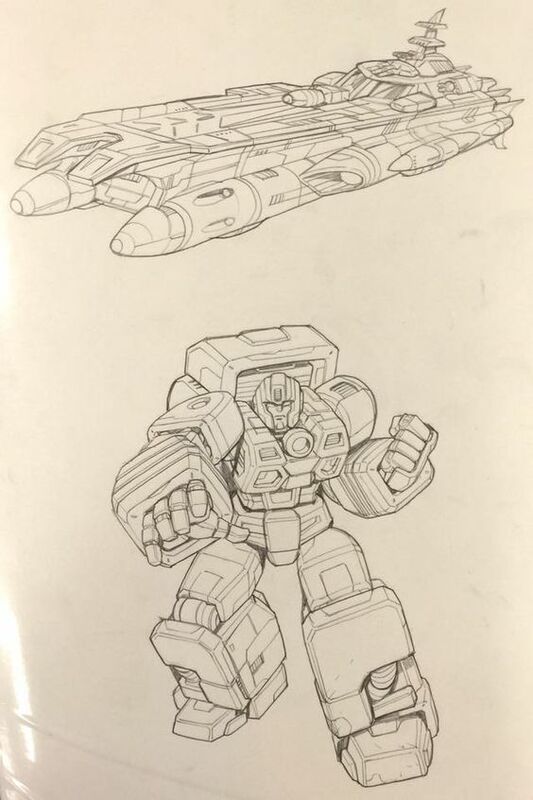 According to Snakas Blog, that concept art comes from Botcon 2016. Interesting. That’s the concept art of alpha trions “ship mode”. on the page to the left of the binder (not pictured) it has concept art of alpha trions robot mode and lion mode. Yup. It's a very early concept art, made when no final specificationa were still available. I think Emiliano Santalucia did a concept art with the final directions for the toy. He reminds me of Huffer. Well this was a surprise. I would have never guessed that origin. Now that I think about it, yeah. It looks a lot like a Titan master. Maybe this was concept art of Toraizer before he was canceled. I bet it's actually concept art for Alpha Trion's Titan Master, Sovereign. Looked like huffer to me.